Description from the publisher: The renowned scholar and Sufi master, the late Dr Martin Lings (Shaykh Abu Bakr Siraj ad-Din) was working on a full translation of the Qur’an when he passed away. The Aal al-Bayt Institute for Islamic Thought, who had commissioned Dr Lings to translate the Qur’an, and the Islamic Texts Society were granted access to his papers. The Publishers extracted from these previously unpublished writings, and from all his other publications, his translations of verses from the Qur’an. 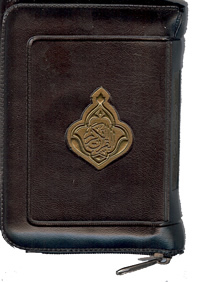 These are here presented as The Holy Qur’an: Translations of Selected Verses accompanied by the original Arabic text on facing pages. Occasionally, Dr Lings translated a particular verse in more than one way; all the different versions have been retained. On the one hand, this is a reflection of the fact that there can never be a definitive translation of the sacred text; on the other hand, this brings out the multiple meanings that may exist in one verse. 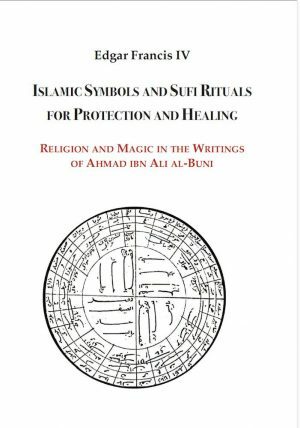 In addition, there is an appendix of Dr Lings’ translation of the Ninety-nine Beautiful Names of God with the original Arabic and transliteration; and a cross-referenced index which is intended to work as a minor concordance. 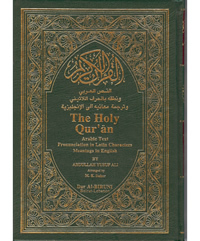 For all those wishing to learn about the Qur’an, for non-Arabic-speaking Muslims, for students of Arabic and translation, for scholars of Islamic studies, The Holy Qur’an: Translations of Selected Verses is a short and accessible introduction with the additional benefits of the profound learning of an eminent scholar and the beautiful language of a published poet.